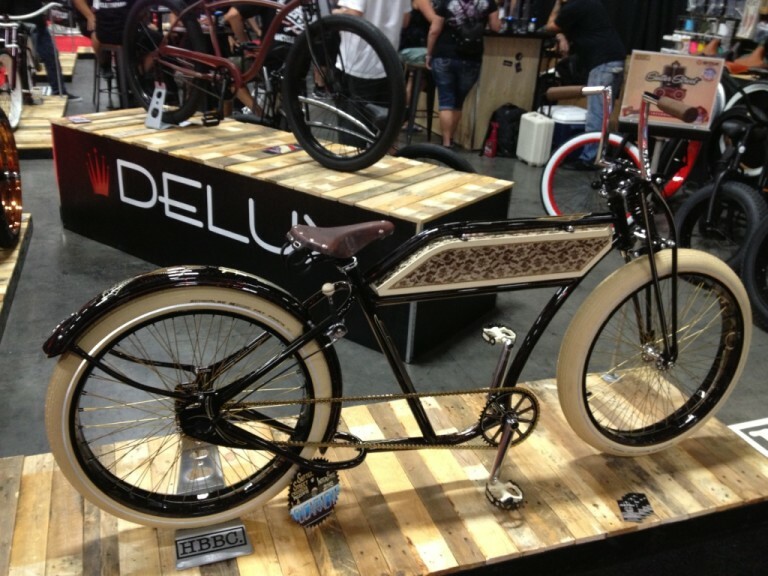 AKA our Las Vegas Interbike Show Top 10. 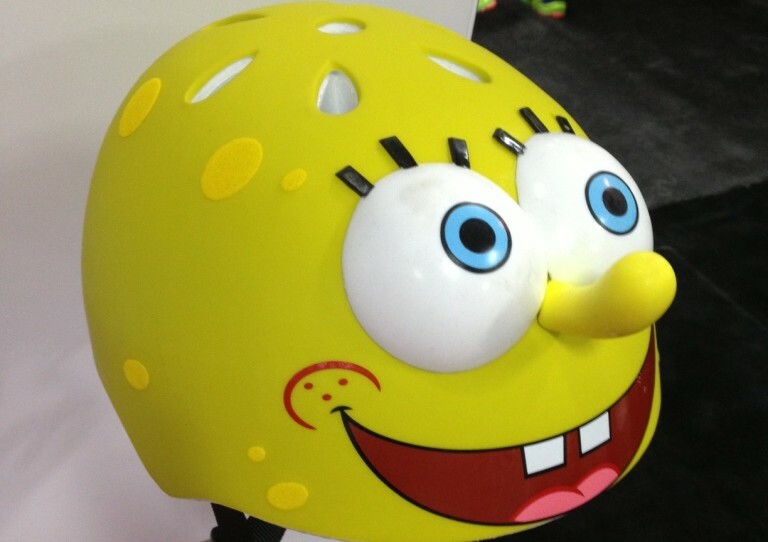 It’s not often you get SpongeBob Squarepants and cyclocross together. The annual Interbike trade show in Las Vegas brings together the weird and the wonderful in the cycling world. Most people with an eye on the bike trade have already seen the latest offerings at the much larger EuroBike show in Germany, which means the American show has a more relaxed and fun feel to it. This despite it still being the biggest and most important bike show in the US. I went to this year’s Interbike to see what the show was like and to sampled some good ol’ US hospitality. Here are a few things that caught my eye about the show and its iconic surroundings. 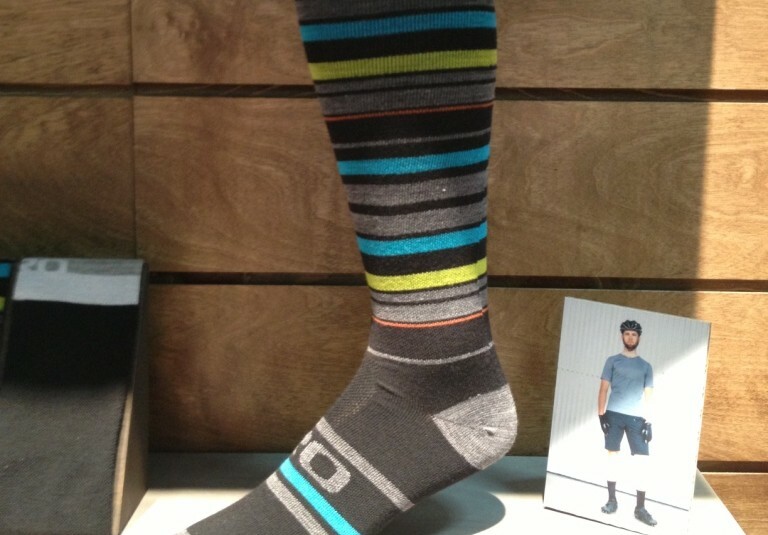 We’re not getting into the length debate here but there were an awful lot of socks on show this year. It seems every clothing manufacturer is trying to outdo each other in colour and length variation. All we need in the UK is some sun to show them off! One stand was entirely kids helmets with every kind of action hero or fantasy character. If I had been a cyclist as a small kid this stand would have been heaven and impossible to choose from. I think my favourite was SpongeBob. 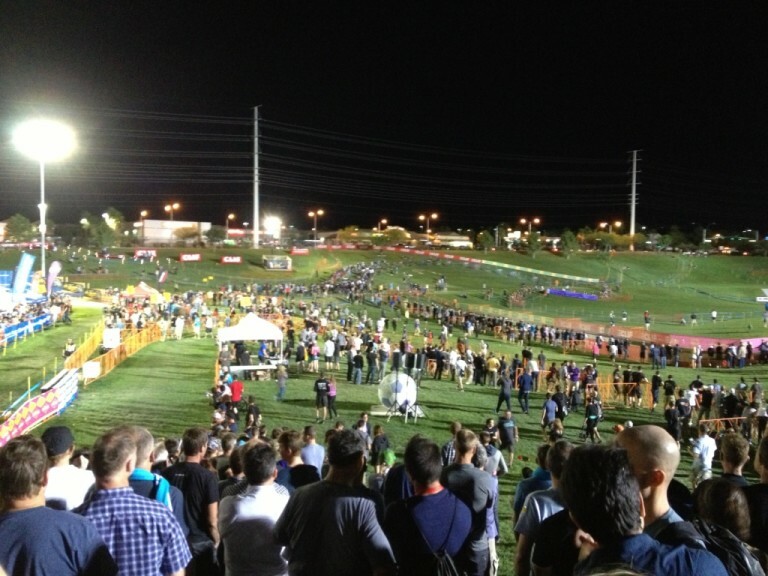 Crossvegas is a popular evening cyclocross race that takes place during show week. It is run under floodlights on a hardpack surface in evening desert heat. It’s weird to watch cross at night and in shorts and still be warm. This year’s race also had the prestige of being the first round of the UCI Cyclo Cross World Cup with the world’s top racers making the trip from Europe to ride. Cow bells rang out throughout the course and there were the obligatory Belgians waving flags and downing beer. Sponsoring Team Sky really put Kask into the limelight instantly. 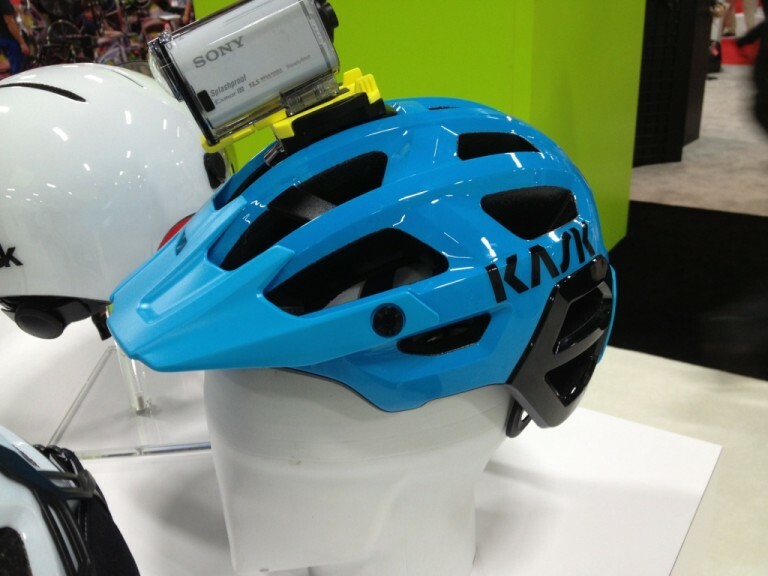 Their range of helmets has grown and although they are best known for road stuff, their stand at Interbike had this impressive looking MTB lid with good coverage and ventilation. All in the obligatory striking colours. 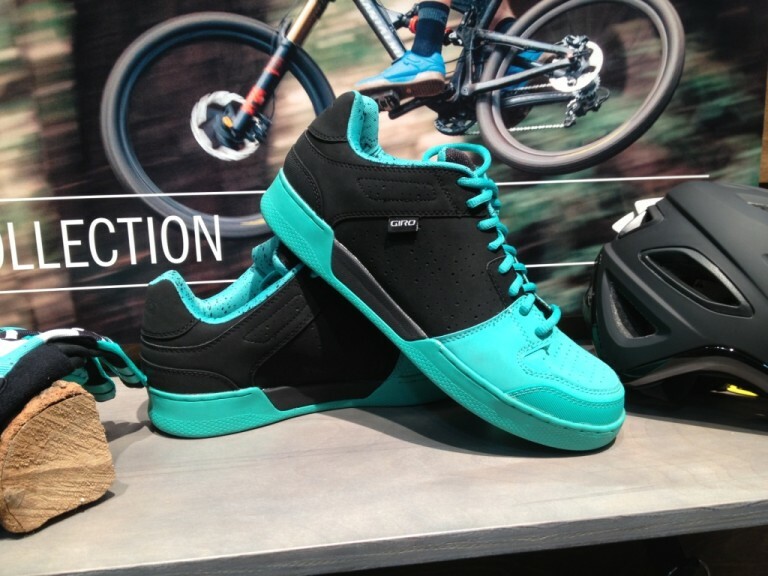 Bright pastel colours are in and these Giro shoes caught the eye with contrasting colourway. What socks do you wear with them though? 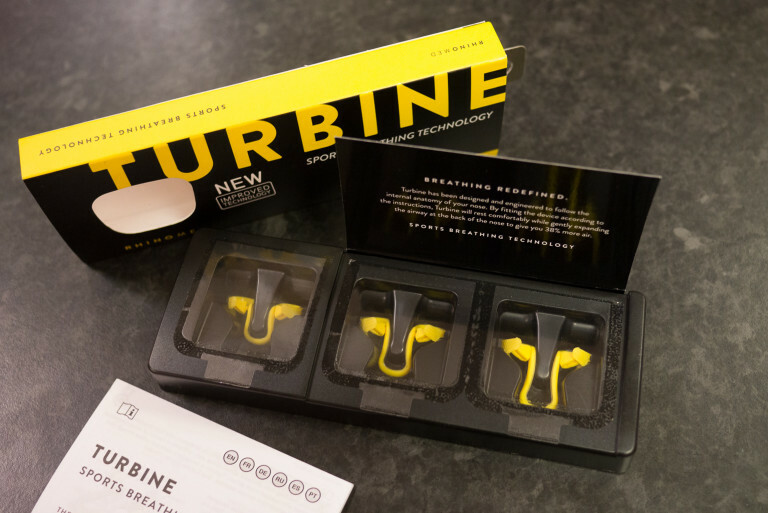 You may have seen this small device sticking out of Tour de France winner Chris Froome’s nose and wondered what it does. It opens the nose’s rear passages to allow easier breathing. Although I was sceptical once I tried it I was amazed at the difference it makes. Expect to see these on the nose of every marginal gainer in 2016! Cyclocross bikes in every colour and brake combination were on show. This carbon retro replica was one of the best. The lugs are actually just paint as it is a full carbon frame. I loved Alan bikes as a teenager and love this hark back to the legendary bonded frames. This 24” wheel full suspension bike is the kind I would have loved to have had when I was that age – or even the same spec now as an adult. The spec on this bike is incredible and really well thought out. 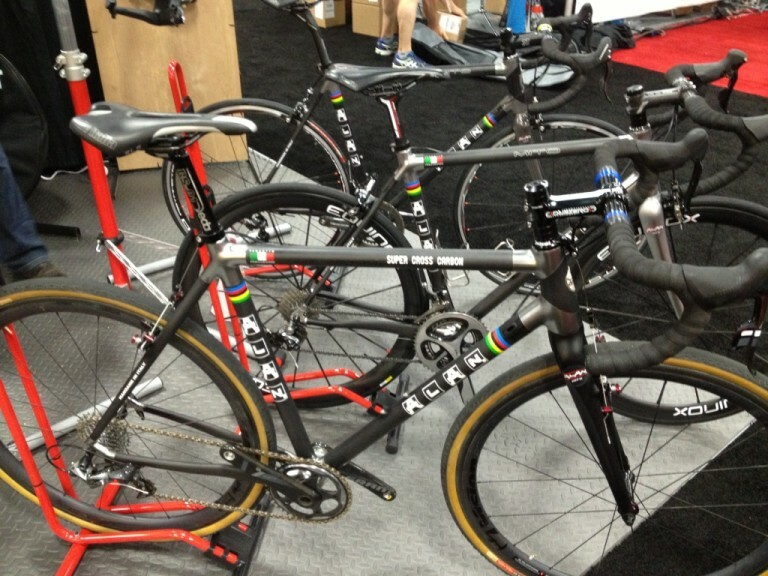 The guys at Transition are so down to earth and just love riding and this is evident in their bikes. Check out the Ripcord page on Transition’s site and have a look round the videos if you want to while away some time. 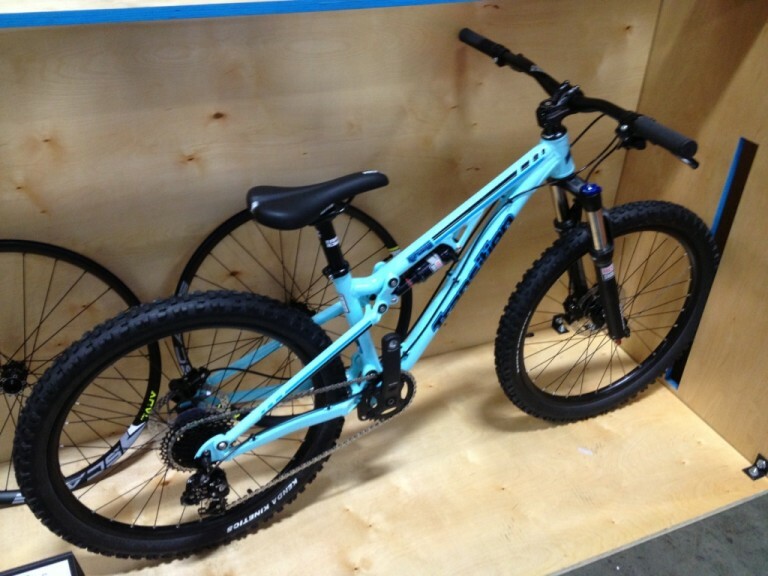 This was the bike of the show for me. One stand had six custom low riders from six different builders. The amount of work involved on each one was incredible with so many details on each it was hard to take in. Talking to the guys behind this one they had spent upwards of $5,000 on it to win the £1,000 first prize. Bragging rights were much more important. Described as Disneyland for adults it is a surreal place. It’s literally buzzing 24 hours a day with noise, lights, people and gambling. 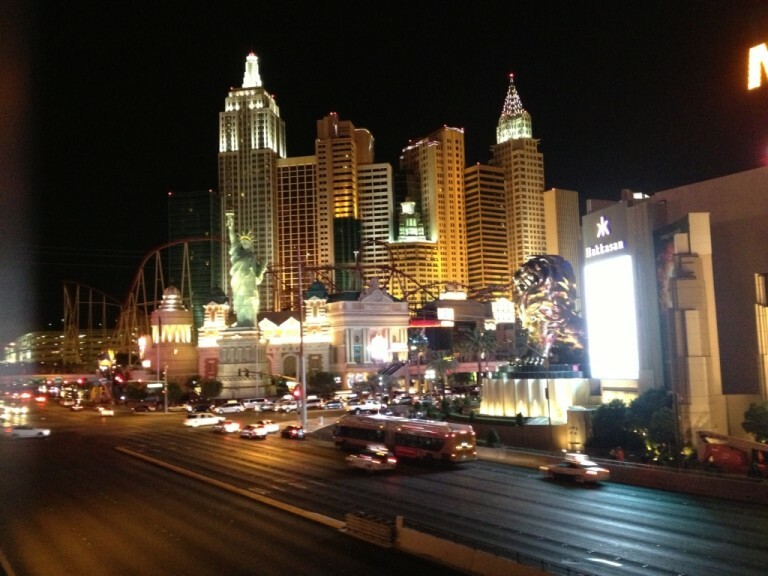 The hotels are unbelievably huge and this one – New York New York – even has its own rollercoaster on the roof! Tagged bike show, cross vegas, crossvegas, cyclocross, enduro, giro shoes, goods in, interbike, kask, kask rex, listicle, socks, spongebob squarepants, transition bikes, turbine. Bookmark the permalink.